Combitech, the technology consultancy company and an independent subsidiary within the defence and security group Saab AB, has today released its interim report for the period 1 January to 31 March 2015. The order intake, sales and margin turned higher during the quarter. Sales were SEK 427 million, which is an increase year on year. The number of employees has increased by 40 compared with the same period in the year before, reaching 1,460. New framework agreements were concluded with clients including Svenska Spel and the Swedish Energy Agency. Combitech Finland won the award for “Outstanding Security Business Approach” at the IBM Business Partner Awards. The company is rewarded for its solutions based on IBM’s QRadar and I2 products. An expanded marketing effort is now underway in the company’s profile areas – Cyber Security, R&D Excellence and Information of Things. “Last year was challenging for us, but thanks to our strong focus on sales and increased competitiveness we now see a positive trend in the first quarter, primarily in our Swedish business. 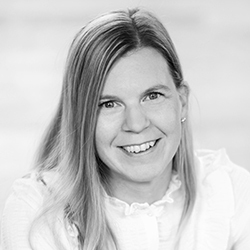 The market situation in Norway, where falling oil prices have curbed demand for consulting services, remains tough,” says Hans Torin, Combitech’s acting CEO since 1 April, when the previous chief executive, Marie Bredberg, moved on to a new role in the Saab group. Orders worth SEK 445 million were secured in the first quarter, up from SEK 392 million in the prior year. Order intake remains stable. Sales revenues were SEK 427 million, which is a slight increase on the same period in 2014. The portion of sales outside the Saab Group was 62 percent. Operating profit (EBIT) was SEK 33 million, compared to SEK 25 million in 2014. The operating margin increased to 7.7 per cent, from 5.6 per cent in 2014. The higher operating margin is primarily due to increased utilization rate compared with the year before. The operating cash flow was SEK 29 million, which is lower than the SEK 57 million for the corresponding quarter in 2014.